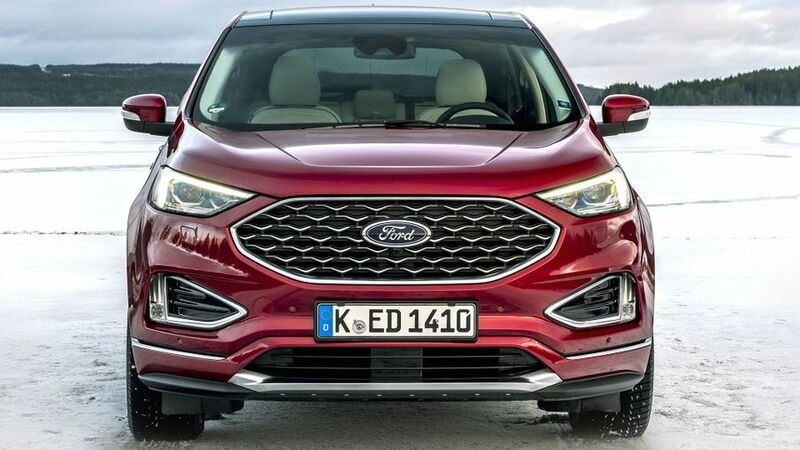 Ford’s largest and most luxurious SUV is the Edge, which attempts to make buyers who fancy an Audi Q5, BMW X3, Mercedes-Benz GLC or a Volvo XC60 think twice. 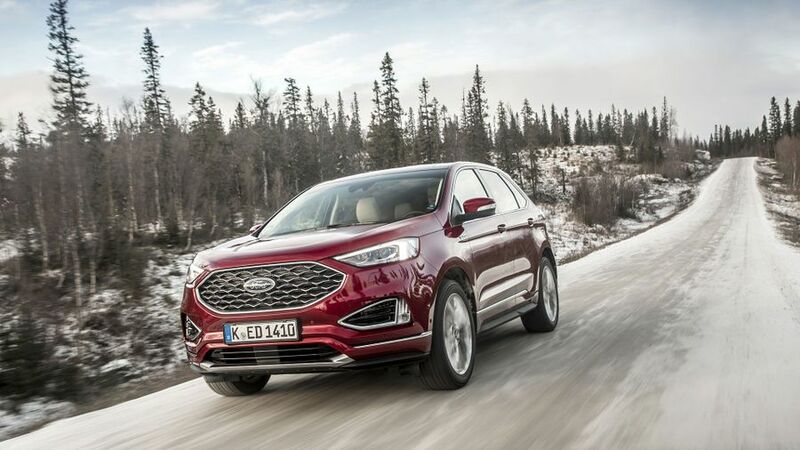 The Ford Edge is a handsome and hugely spacious SUV that provides something a little different for buyers who demand an upmarket badge on their car. It’s comfortable and practical – if you only need to seat five on board. But seven-seat rivals and some key competitors make the Ford feel a touch overpriced. Nearly as good on fuel as the 150PS model, but nicer to drive and look at. Small wheels and lowest power/trim spec leads to best economy. The Edge Vignale is not a bad car, but it has a very high starting price. Interested in buying a Ford Edge? 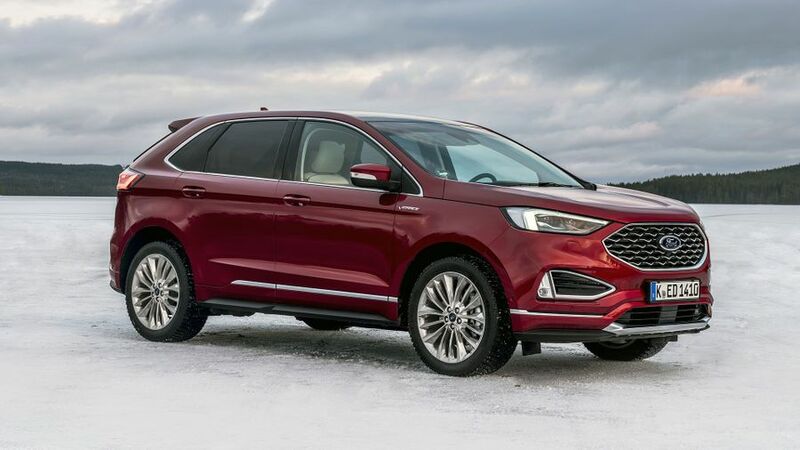 The Ford Edge is a physically large car, with proportions that hint at its American origins, but its sharp styling has always been a strong selling point to attract customers. Buyers get to choose from a wide palette of paint colours and alloy wheel designs. ST-Line cars have sportier body kits and wheels up to 21-inches, while the plush Vignale flagship gains a hexagonal grille and 20-inch alloys. 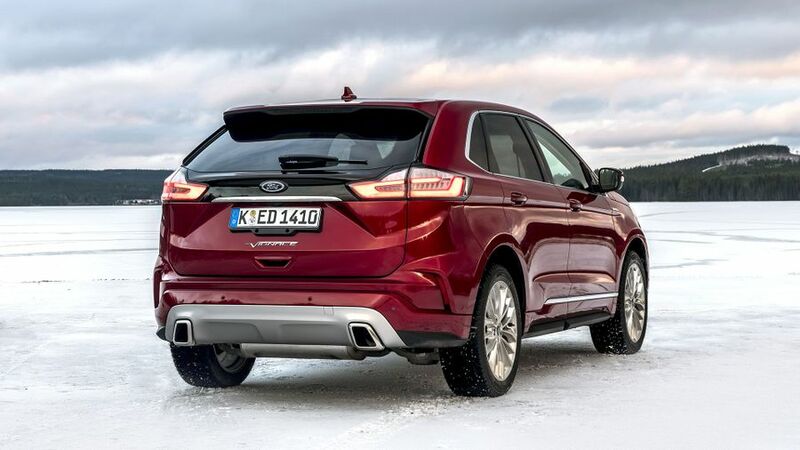 The Ford Edge has a decently built cabin, which features a high-up driving position with superb visibility in all directions – and that includes over the shoulder, which is surprising given how thick the rear window pillars are. The driving position and placement of the controls cannot be faulted, while a fully-digital, configurable instrument cluster also looks good. Additionally, Ford uses a rotary dial to select gears on the automatic models, which frees up space underneath the centre console, home to a wireless smartphone charging pad. Shame the rotary dial itself isn’t the most robust thing, and there are areas of flat, shiny plastic that don’t sit well with the Edge’s premium aspirations. 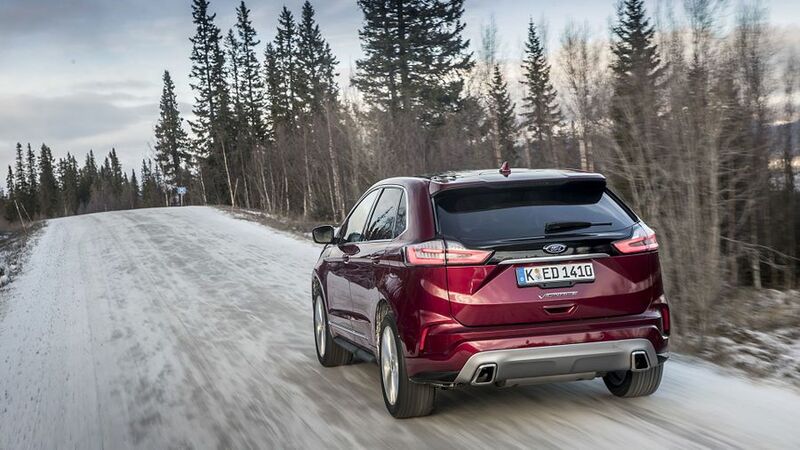 Practicality is probably the Ford Edge’s strong point, but there’s one glaring omission – the option of having seven seats. Despite its large physical presence, the Ford can only ever seat up to five people, and that means it cannot tempt buyers who have more than three children. Nevertheless, the pay-off for this is a huge cabin, with acres of room for four adults, a central rear seat that’s also decently useable, and a 602-litre boot that’s a whopper, certainly when compared to rivals in the class. Folding the 60:40 split rear seats is the work of a moment, and gives you 1,847 of space, although you don’t get a totally flat floor. 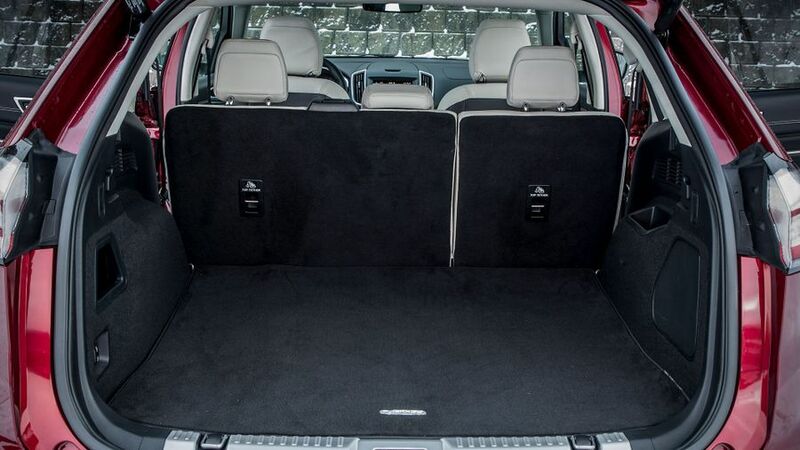 On top of this, large front cupholders and plenty of sizeable cubbies ensure the Edge is a practical family machine. The Edge is a family car, and it drives like one: it’s very comfortable, civilised and has an excellent ride thanks to supple and forgiving suspension. Generally, it’s a very easy SUV to place accurately on the road at all times. It also has decent body control, and very light steering, which is helpful when you’re manoeuvring the car around town, but it doesn’t inspire much confidence on country roads. 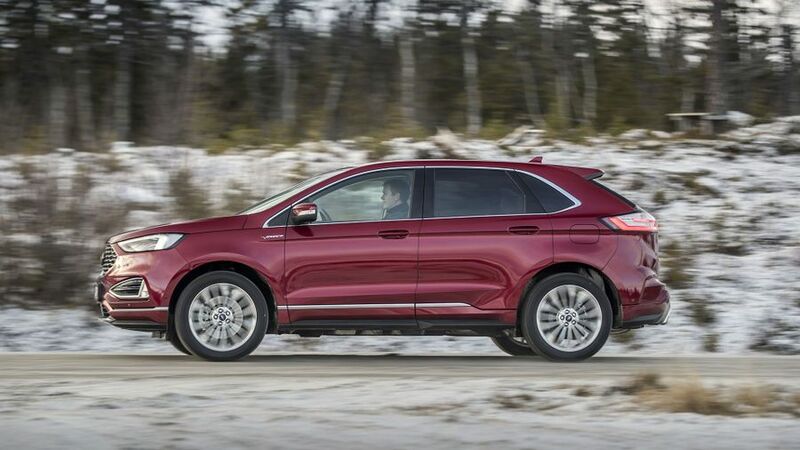 It’s diesel power only for the Ford Edge, which limits its potential market, as plenty of people will wonder why there are no petrol or hybrid options. The entry point is a 150 horsepower, 2.0-litre, four-cylinder, single-turbo engine that delivers its power through an eight-speed automatic gearbox to the front wheels. The same engine is also available with four-wheel drive and a six-speed manual in the 190 horsepower mid-level Edge, while at the top, a twin-turbo derivative has 238 horsepower, four-wheel drive, and the automatic gearbox. This 2.0-litre engine is a smooth and refined operator, but even the 238PS model is not what you’d call very quick. Performance is adequate for the class, nothing more. 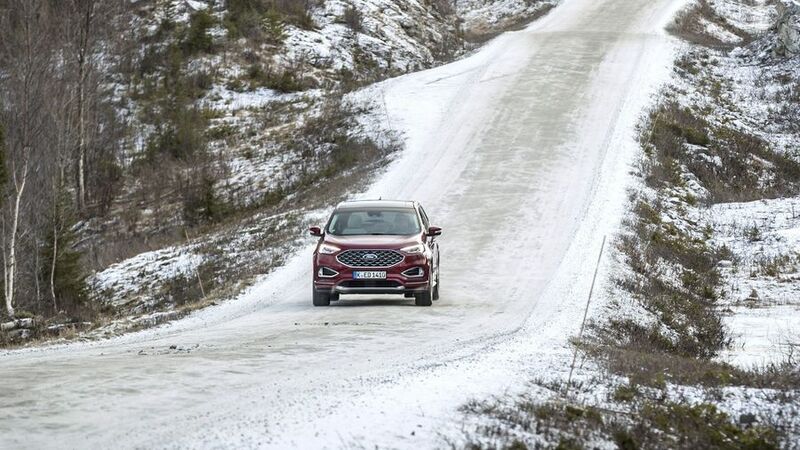 The four-wheel-drive system in the Edge can switch between front and four-wheel-drive, and for the most part, it will stay in two-wheel drive mode, which helps with fuel economy. However, even in this guise, the Edge does not have great fuel economy and efficiency figures. And it gets worse further up the range. The Edge isn’t a cheap car to buy either. Base models cost considerably more than the largest, grandest vehicles from the mid-size SUV segment (which can fulfil your five-seat family car needs just as well), and top-spec Edges are mixing with some of the most desirable cars in the business. There are also plenty of seven-seat options at the same price too. 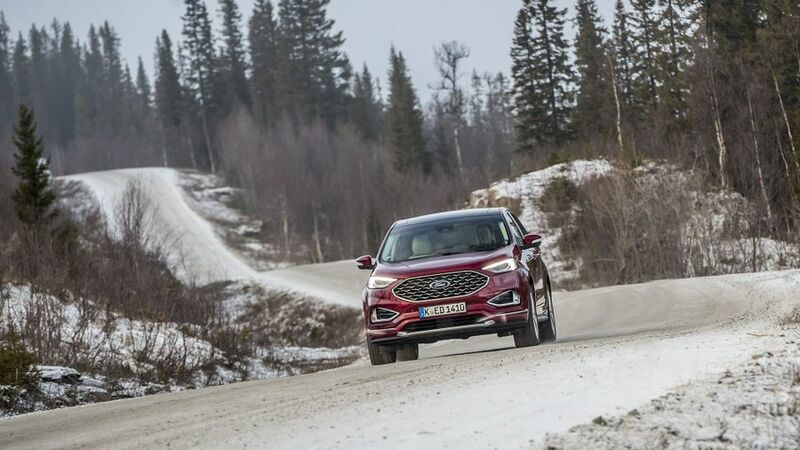 It has however got strong residual values – the second best of any of Ford’s models – which might help soften the blow of buying one in the first place. Ford, as a brand, sits high up in the Warranty Direct reliability index, with all models performing well. As a result, the Edge should prove to be a dependable machine, as it uses tried and tested technologies from other models in the manufacturer’s range. Furthermore, our owner reviews rate the Ford Edge very favourably indeed, with particular praise for the civilised way it drives. Ford’s warranty is three-years/60,000 miles, which is fairly average by today’s standards – there are some very well-known manufacturer warranties that are valid for considerably longer and/or higher mileage than this. 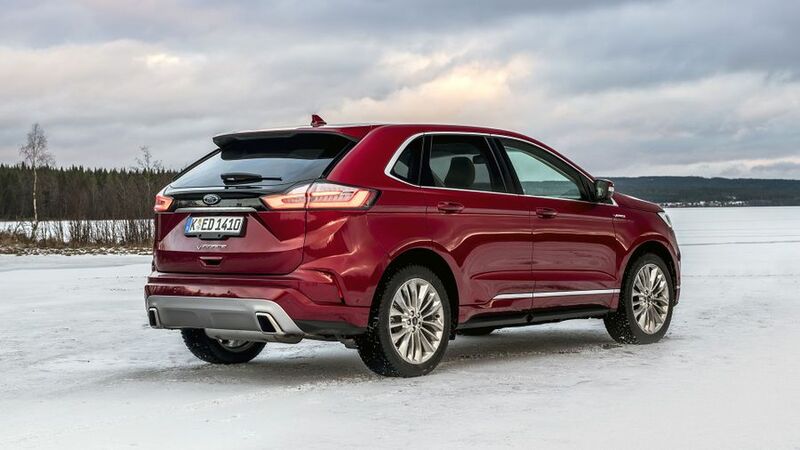 The Ford Edge gained a full Euro NCAP five-star safety rating, under the tougher testing conditions, when it was first launched, and a midlife update only brought in more safety equipment, so it’s one of the safest vehicles in its class. Buyers get automatic lights and wipers, adaptive cruise control with autonomous emergency braking, a lane keeping aid, traffic sign recognition, front and rear parking sensors, a reversing camera and more. Other technologies are either added as standard or cost options further up the range, including, Evasive Steering Assist (to automatically aid the driver in trying to avoid an obstacle with quick, two-input steering manoeuvres), Post-Collision Braking (to prevent further incidents after the main impact of an accident by automatically stopping the car immediately), adaptive LED lights, blind spot warning, speed limiter and pedestrian detection. There are also optional aids to make parking safer and easier. The three main trim levels are Titanium, ST-Line and Vignale, and you do get plenty of equipment from the bottom, up. So you can safely go for that entry-level spec, as it comes with things like heated and cooled seats in the front, and heated seats in the rear, both of which are so often a cost option – even on some of the pricier, premium rivals. The highly useful heated front windscreen is, as on all Fords, standard fit on all Edge models, and so is leather upholstery. Dual-zone climate control, an 8.0-inch touchscreen infotainment with DAB, Bluetooth, Apple CarPlay and Android Auto, a powered and hands-free tailgate (which means you can open it while waving your foot under the rear bumper), keyless entry and go, and ambient lighting with illuminated sill plates are all desirable items that might be extra expense on some rivals, but not on the Edge. 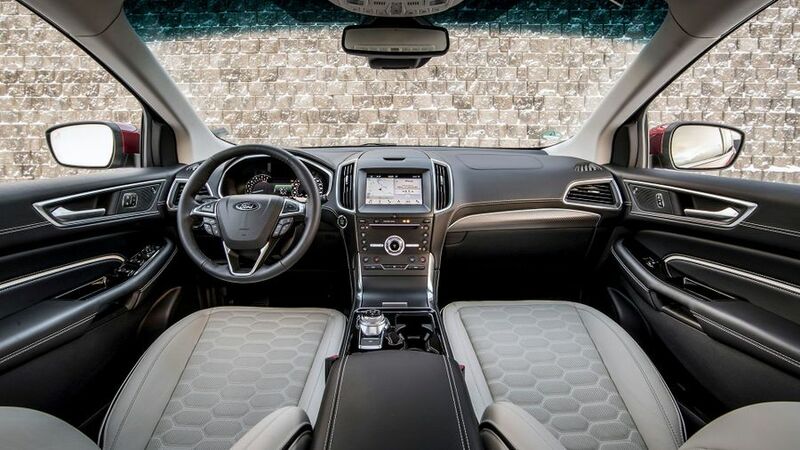 The Ford Edge comes from a country where size matters, and it certainly has that quality in abundance, being one of the most spacious and pleasant vehicles to sit in (certainly for taller people), without being absolutely colossal on the outside. Thankfully, it has plenty of other good qualities to recommend it too, such as bulging comfort and safety equipment lists, but it feels a little lost in the marketplace to make it a ‘no-brainer’ recommendation. It’s not quite as luxurious as the very premium brands it’s trying to usurp, nor is it good enough value or able to provide a seven-seat option that might make it a more appealing prospect all round.